Tonight Alive have announced that they’ll release their new album titled Underworld early next year. It’s set to arrive on January 12, 2018, via Hopeless Records after the Australian outfit signed a new deal with the label earlier this year. It’ll be their first record since 2016’s Limitless. To mark the album announcement, Tonight Alive have released a video for new track Temple. McDougall wrote the song while she was experiencing severe depression and fatigue, with the deeply personal track one of 13 new songs that will appear on Underworld. 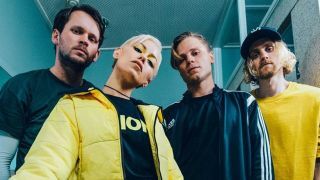 Tonight Alive will head out on tour across Australia later this month, with further dates planned in the US, Europe and the UK for early next year. Find a full list of their shows below.